A true challenge yet in safe hands. For experienced skiers, this is a real treat. 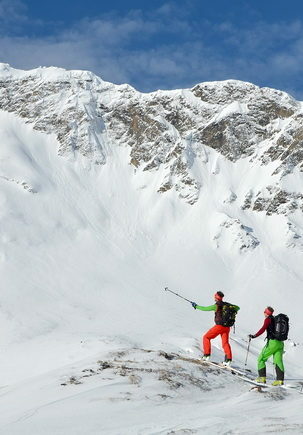 A tour with a ski guide once a week is included in your package. Herta or Robert and Horst from the Ski Academy are there for you on the other days. Ideal for small groups who want to combine a ski teacher with a local guide, or for those who just want to get away from the main lifts and enjoy nature off-piste and a challenge (only for experienced skiers).